Tertill decides whether a plant is a crop or a weed based on height—short plants are weeds, tall plants are desired crops. The robot turns away from crops but chops down weeds. The robot's simple-minded approach means that when a desired plant is small, perhaps because it was started from a seed, you must inform Tertill that it is not a weed. We do this by surrounding the plant with a conductive collar. 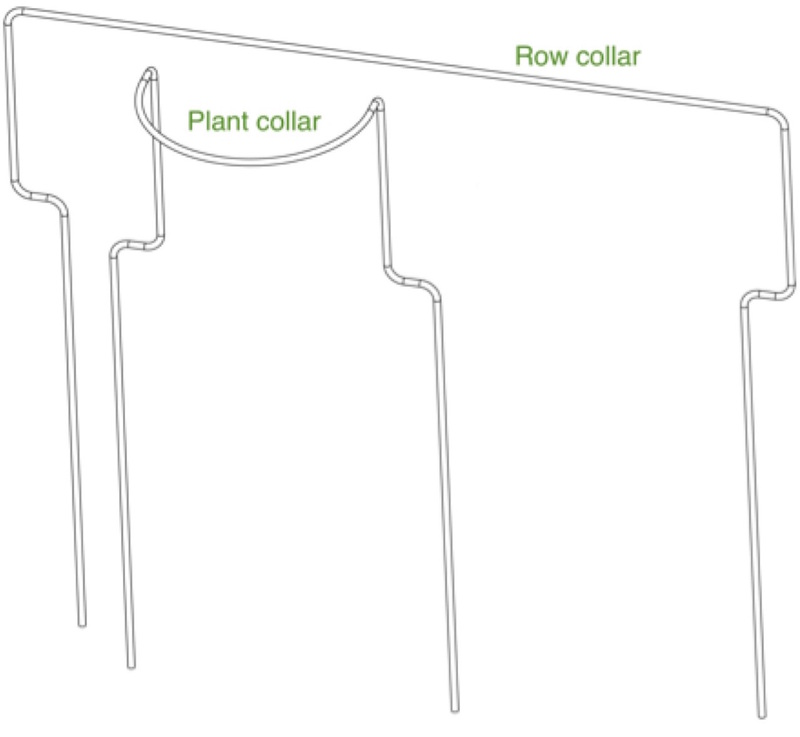 Two types of collars are supplied with the robot, plant collars and row collars. 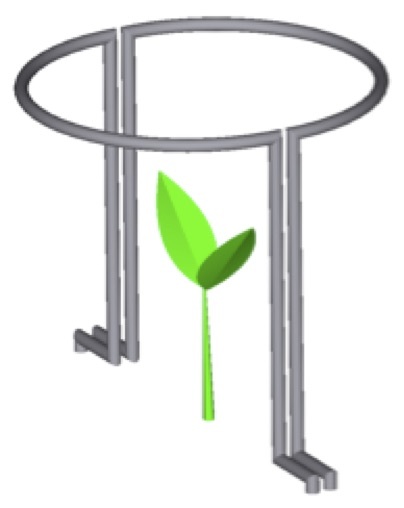 To protect a small, individual plant use two of the shaped wire collars. Press the legs of each wire form into the ground all the way to the horizontal bends. This ensures that the collar will be the correct height to be deleted by the robot. To protect a row of small plants use two or more row collars. Both sides of the row must be protected. Offset the collars by an inch (2.5 cm) or so from the centerline of the row.